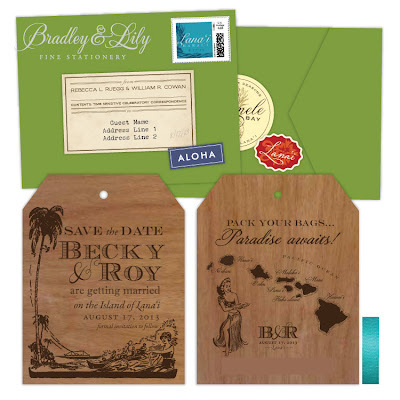 Send your guests a preview of the islands with these letterpress printed mahogany Save the Date travel tags. 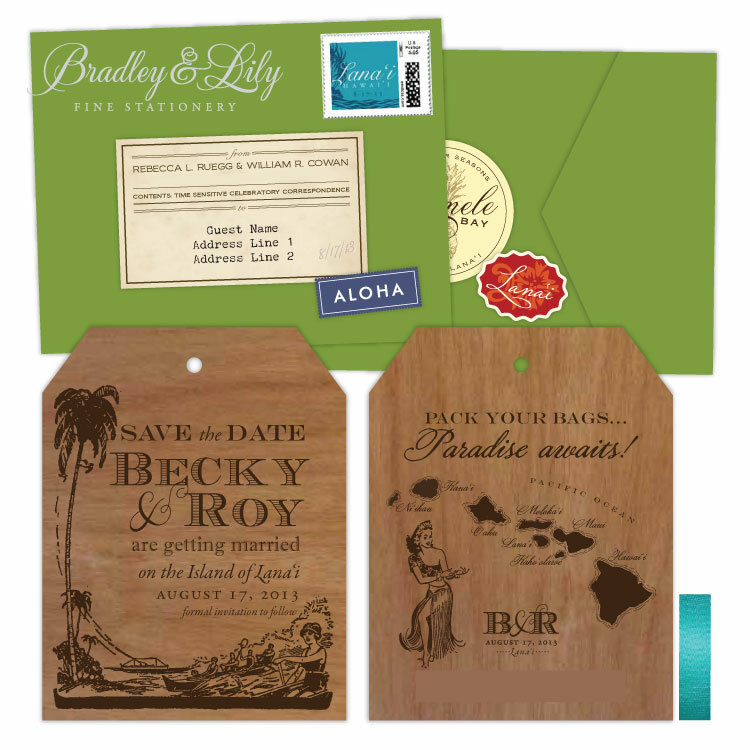 A map of the islands, along with a welcoming hula dancer, let guests know that Hawaii awaits. Custom address labels, stickers and postage add to the fun!